I’ve played for a number of weddings in my day, including one just this weekend, and although each wedding was unique, they’ve all had a few things in common. Every wedding I’ve ever attended has included vows. 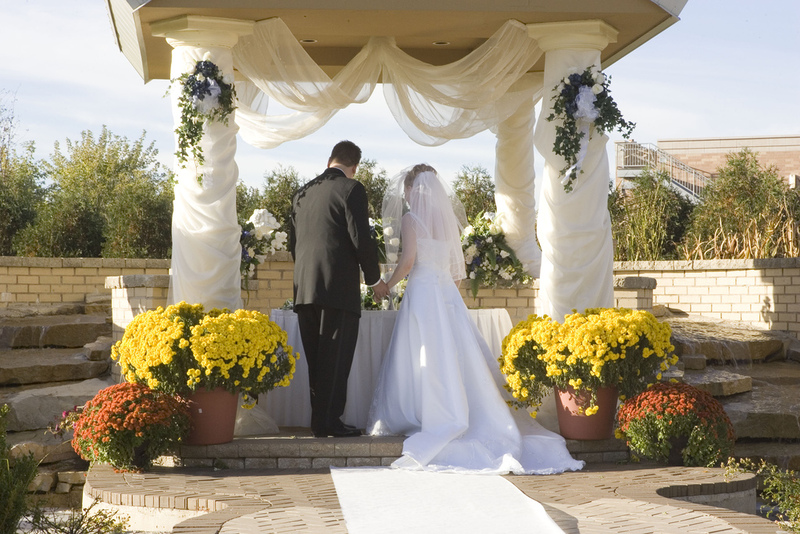 In these vows, each spouse pledges to be true to the other. After all the “for better, for worse” stuff comes the solemn statement at the end of the vows, “I pledge you my faithfulness.” No one enters marriage with the intention of cheating on their spouse. Nor would anyone want to marry someone who is known to stray. But let me tell you about someone who did marry a cheater. On purpose. Some years ago, a faithful believer married an adulterer. He knew before he married her that she would be intimate with other men, but he married her and loved her nonetheless. When she inevitably cheated, he sought reconciliation rather than divorce. He sought her out and wooed her back to him, forgiving her unfaithfulness and working hard to restore the fullness of a husband-wife relationship. Of course everyone knew her reputation, and doubtless he endured plenty of mockery and scorn from others in town, but still he pursued her. He overlooked her infidelity and forgave her. Their relationship was that important to him. Perhaps you’ve heard of this couple as well. The husband was none other than the prophet Hosea, and his wife the unfaithful Gomer. And here’s the real kicker- God was the one who told Hosea to marry Gomer in the first place! Now let me tell you about another man who wed an unfaithful bride. This man devoted his entire life to his bride, despite the fact that he knew she was unfaithful from the start. He sought his bride and called her back to him again and again. He spent his whole life showing his love for her, and he even made the ultimate sacrifice for her in the end- he died for her. Of course you’ve probably realized this wasn’t just a man- this was Jesus, true man and true God. And His unfaithful bride? Well, that’s us. We are His Church, His holy bride. And I have to say, we don’t make a very good bride, do we? Look at how we run after other gods, other “lovers,” if you will. Things that would lead us away from our true love, Jesus. We dishonor His name and sin against Him over and over. On our end, it’s a pitiful example of the intimate relationship and commitment between a husband and wife. Getting back to Hosea and Gomer, why exactly would God command His prophet to marry a known adulterer? Because God wanted Hosea to demonstrate the relationship between Himself and His people. God’s Old Testament people, the Israelites, went after other gods time and time again, yet in the end God still loved His people, and sought them out over and over. But that wasn’t an ancient example. We may look back at Israel of old and shake our heads as they stooped to pagan sacrifices, but we do much the same thing. They were following the popular culture of the day. We do the same. We compromise our morals for the sake of “peace” in the world. We adopt sinful practices the world has accepted because “everyone’s doing it.” We try to be relevant to culture by giving in a bit here and there, and all too often, Christians become indistinguishable from the culture around us. Christ’s bride isn’t terribly faithful to Him at all. Such a great way to tie all this scripture together. Wow! It’s takes “Jesus Loves Me” to a whole new level!